For everyone who enjoyed “The Westagram” taco at Sunday’s lunch buffet with that exquisite mac and cheese, Chef Brad from the AT&T Executive Education and Conference Center has kindly shared his recipe for the cheese sauce with us. 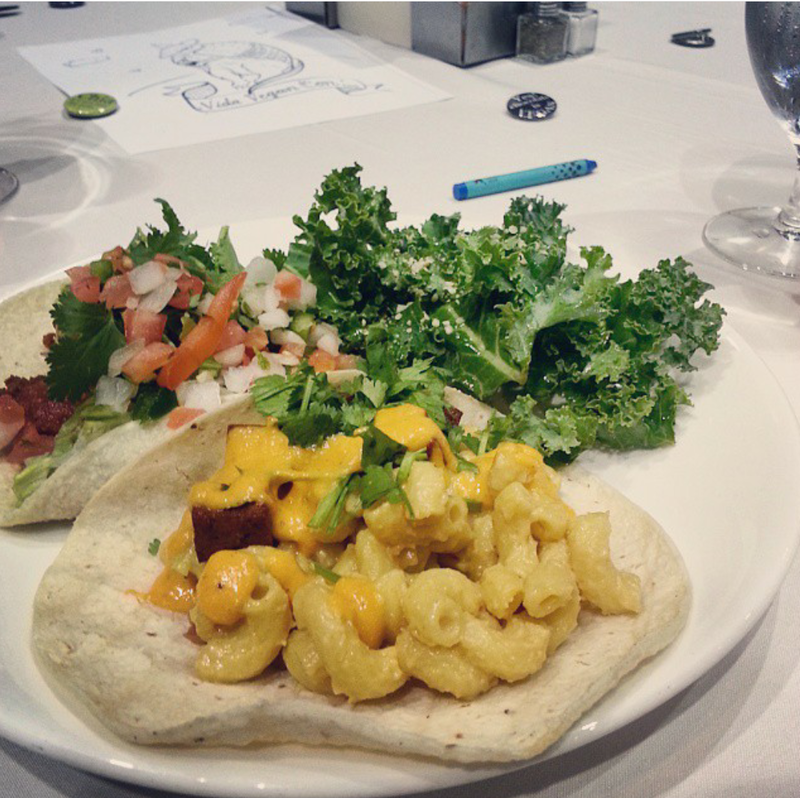 This entry was posted in Austin, Recipes, Vida Vegan Con and tagged #vidavegancon, 2015, Austin, recipe. 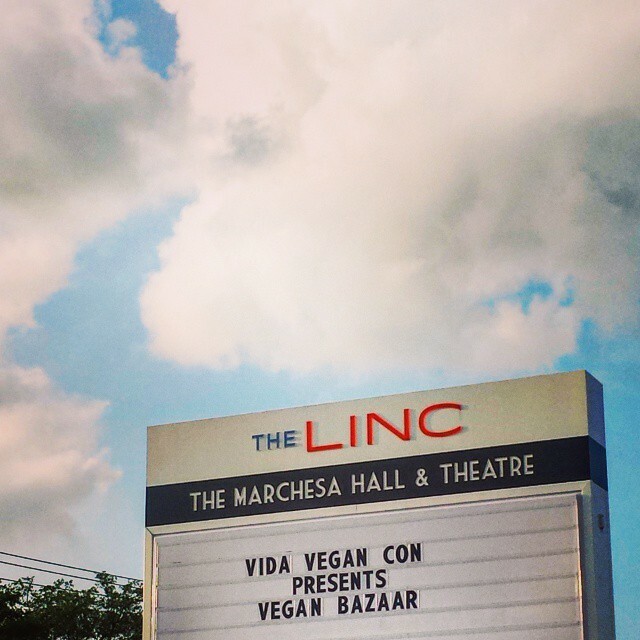 Vida Vegan Con’s Opening Day Vegan Bazaar is tomorrow! Welcome to Vida Vegan Con III weekend, everyone!!!!! 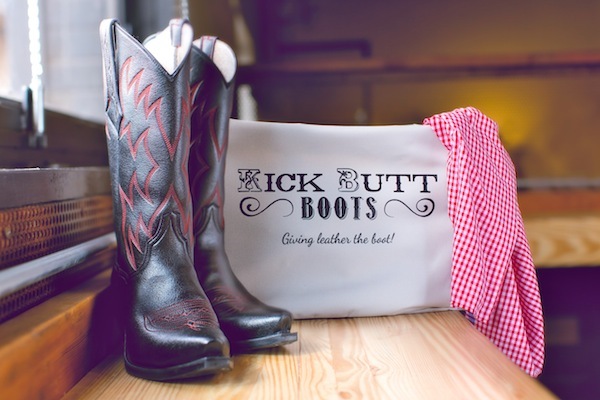 1) If you’ve registered for our sold out conference, you rule! Do make sure you stop by our opening day Vegan Bazaar tomorrow at The Marchesa Hall & Theatre, and definitely make sure to arrive for YOUR exclusive Miyoko’s Kitchen Mixer from noon-1pm (the earlier the better!) This new Bazaar is where all of our vendors will be, for one day only! 2) You can see the full Bazaar schedule over here on Sched, where our entire weekend program is live. It’s also where you should totally activate your profile and explore what’s in store! Oh, yeah..of course…COME HUNGRY! There will be loads of samples from 60+ vendors, tons of cultured vegan cheese goodness and 4 food trucks ready for ya! Enjoy! 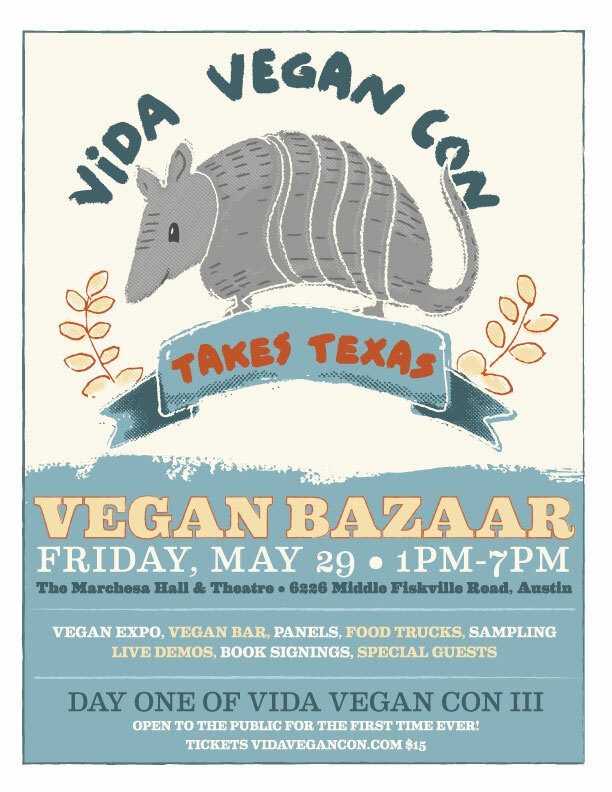 And feel free to share with the official hashtags: #vidavegancon #vidaveganatx and #veganbazaar! P.S. You’ll get your SWAG Bags of Wonder on Saturday morning at conference registration. Woohoo! P.P.S. Advance ticket sales are now complete, but you can buy a ticket at the door for $15 cash or card when the doors open to the public around 1pm! This entry was posted in Austin, Events, News, Vegan Bazaar, Vida Vegan Con, VVC family. 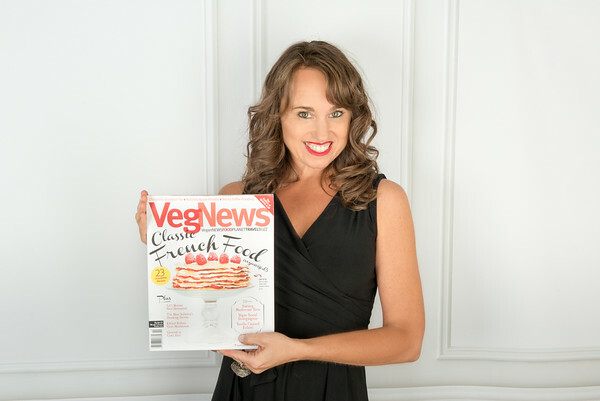 What’s new with all things VegNews? Great things are happening at VegNews. My team and I are working on the Summer 2015 issue, which includes everything from plant-based food tech companies and a vegan tour of Paris to homemade vegan pantry staples (butter! whipped cream!) and our favorite books, films, blogs, and TV shows of the summer. Plus, we’ll be including our 15th annual vegan wedding feature, with menus and parties like we’ve never seen before. Let’s talk marketing…really! You’re leading a panel at Vida Vegan Con III this upcoming week that folks are already buzzing about. What’s in store? I’ll be talking marketing with three experts from the world of podcasting, e-commerce, and app development. Whatever your message or platform is, we’re going to share the best way to get your content out there—and to do so on a budget. With passion, creativity, and a plan, anything is possible! How do you recommend new vegan businesses get the word out what they’re sharing with the world…or at the least, their own community? Building an audience or customer base through a thoughtful, well-planned social media strategy is a great way to jumpstart your business. You want to provide quality content, be consistent, and be an extension of your brand so people feel connected to you and what you’re doing. What vegan (or vegan-loving) brands are you digging these days? Oh my gosh, there are so many! I love cheese by Miyoko’s Creamery, chocolate tarts by Hail Merry, coconut chai by Bhakti Chai, body butter by Ellovi (hello, Mint Chocolate! ), and grapefruit lip balm by Hurraw. For a special treat, I am obsessed with the French raw artisan truffles from Hnina, and last week we received a shipment of a new line of cheese sauces from The Honest Stand that is going to rock the vegan world. What do you think’s in store for the future of the vegan world? I think we’ve reached a tipping point, and the vegan economy is about to explode. For years, we’ve operated in our insular community as the movement slowly grew, but now the world is ready for plant-based living. People everywhere want to eat well, feel good, and live compassionately, and our community has been building the framework for this to happen for decades. Now, our time has come. What excites you about veganism going so dang (and beautifully!) mainstream? Where do I begin? First and foremost, I hope this is the beginning of the end to animal suffering. I’ve always felt that building a parallel vegan economy is the way we are going to achieve this goal, and I think we are here. I am also thrilled that people are taking charge of their health and looking toward a plant-based lifestyle to get healthy. We know there is zero deprivation when going vegan, and now the world is discovering this as well. What are you looking forward to at (the final! epic!) Vida Vegan Con III? I can hardly wait to arrive in Austin! I am looking forward to connecting with friends and colleagues from around the country, checking out all the vendors at Friday’s Vegan Bazaar, eating my way through the conference buffets, and scoping out new and exciting blogs. It will be a whirlwind four days, but I’m ready for it! Janessa displays our award, which quickly went onto the mantle above her sweet fireplace. Thanks, Colleen! 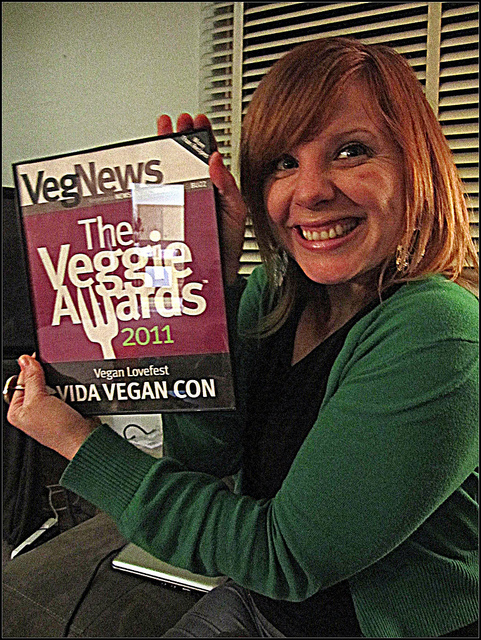 See the very latest of what she’s up to over at Healthy Vegan & stop by the VegNews table tomorrow! This entry was posted in Austin, Events, News, Speakers, Tips, Vegan Bazaar, Vida Vegan Con, VVC family. Thursday = Launch of Red Hot Scavenger Hunt @ VVC Meet & Greet! The time has come! Y’all ready to get your vegan scavenger hunt on!?!? Our dear pals the Red Hot Vegans are hosting a totally vegan and totally awesome sounding scavenger hunt during Vida Vegan Con weekend, and it starts 3pm during today’s Meet & Greet! And if you’re not in town yet, don’t worry, you don’t have to start today because there will be ways to make up the points and folks can join in at any time. See more details and sign up over on Red Hot Vegans. FYI, the tacos are gluten-free, as is the chickin’ salad on its own! RSVP on Facebook here. Family & friends are certainly welcome, but this is for full weekend conference attendees to connect. Warning: There is a wee bit of taxidermy, so focus on the all-vegan food truck aspect and remember, this is Texas. See you all SO DANG SOON! 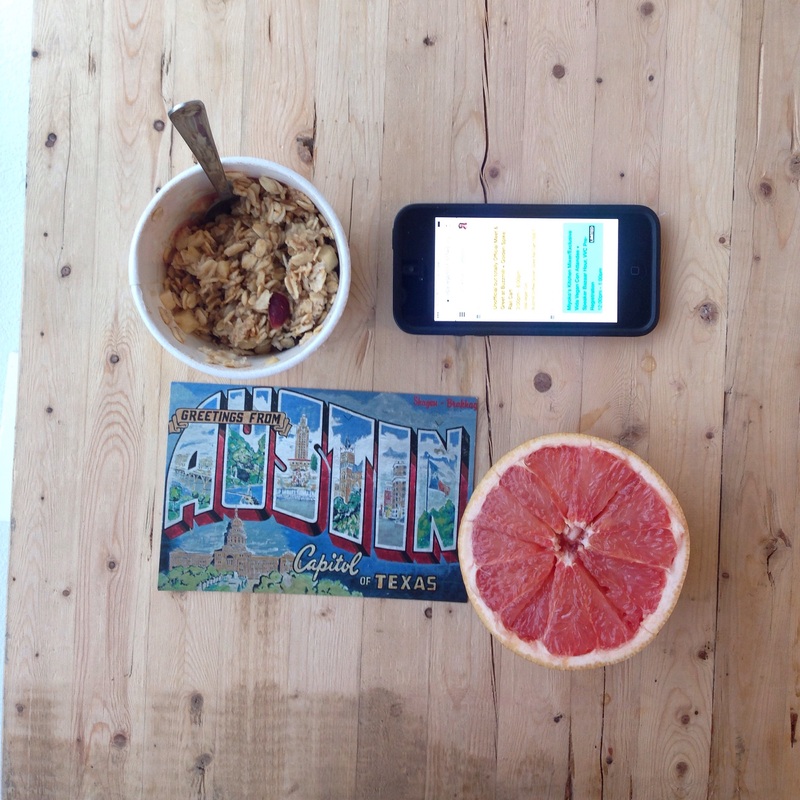 This entry was posted in Austin, Events, News, Tips, Vida Vegan Con, VVC family. 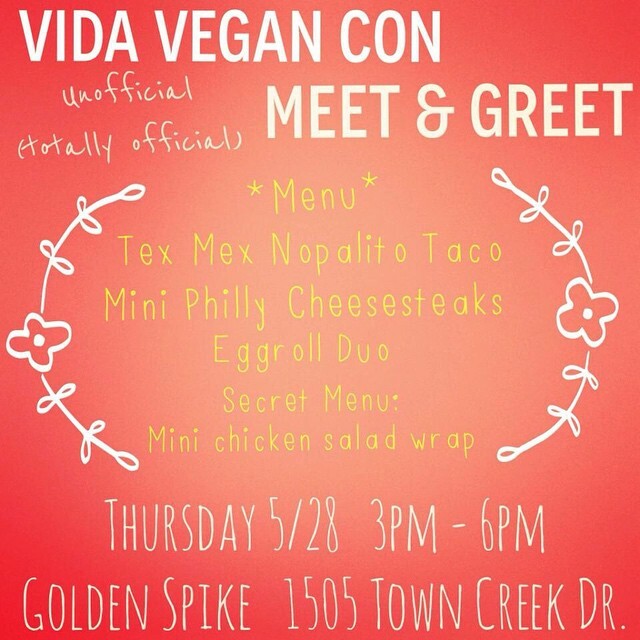 CRAZY LAST MINUTE VIDA VEGAN CON 2015 TICKET GIVEAWAY! Goodness, gracious! Deanna J can’t make the conference this weekend, and has generously passed on her ticket for this last-minute giveaway! THEREFORE….You can totally win a hot ticket to the sold out, final Vida Vegan Con!!! 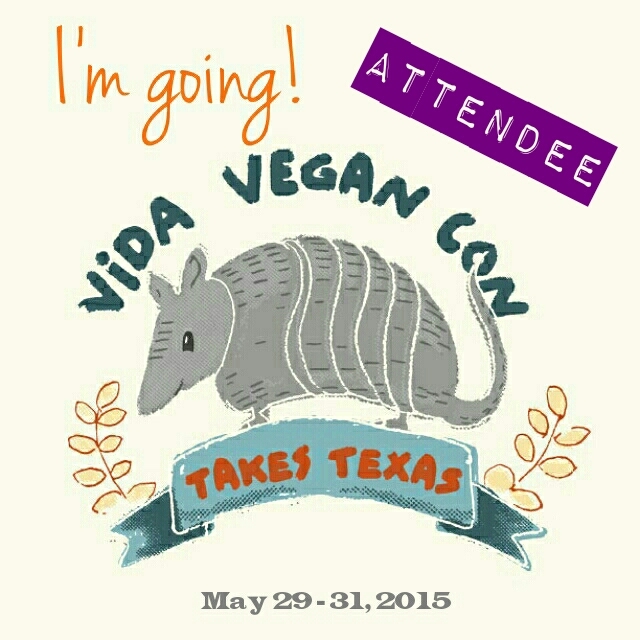 This ticket is valid for registration to Vida Vegan Con III in Austin, TX. This 3-day event is being held May 29-31, 2015. Friday’s opening day Vegan Bazaar is at The Marchesa Hall & Theatre and Saturday and Sunday’s full conference sessions are being held at AT&T Executive Education & Conference Center. In addition to this three-day, full weekend access, we feed ya! The lucky winner gets to enjoy 4 surely epic vegan meal buffets, a SWAG Bag of Wonder, and exclusive to Miyoko’s Kitchen Mixer, which noon-1pm before the Bazaar. This does not include transportation and lodging. Tell us a fun vegan story in the comments, or hey, tell us a vegan joke! You have until 10pm tonight, May 27, 2015 CDT to enter. We’ll pick a winner and announce it in the morning! Do make sure to include your contact email in the comment info field. This entry was posted in Austin, Events, Vida Vegan Con. Vegan Austin Specials for Vida Vegan Con III Weekend! Holy moly, Vida Vegan Con III week has arrived! We are all so ecstatic to see our attendees and speakers sharing strategic packing tips (HUGE hint: make room for the SWAG Bag of Wonder! ), and photos from their roadtrips and early arrivals here into Austin. Welcome to town!! Yes, there was some funky, frightening weather on Monday but it’s been bright and super sunny since theny — and both of our event locations are INDOOR venues (click for more venue details). Operation: SWAG! SWAG! SWAG! SWAG! Janessa, Michele and myself adore the Austin community and its thriving vegan eats, community and culture: so much so that we’ve invited all of you here for our third Vida Vegan Con. We’ve been welcomed with open arms and breakfast tacos, and are stoked to share our adopted city with all of you. So, we know you’ll be super busy with the actual conference happenings and attending our opening day Vegan Bazaar (where the vendors will be!! ), classes and epic meal buffets, but in your free time, we encourage you to explore the city! From vegan food trucks to art galleries, check out what’s unfolding all around you in Texas! 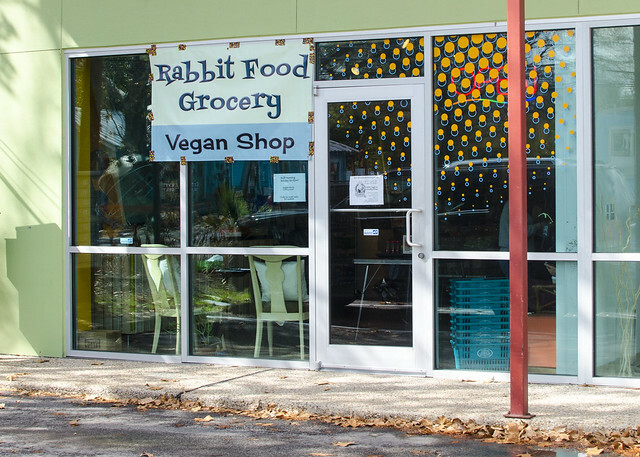 First up, GO TO RABBIT FOOD GROCERY! This is truly #1 on your vegan Austin pilgrimage. And do us a favor, thank them again for holding all of your precious SWAG. New! 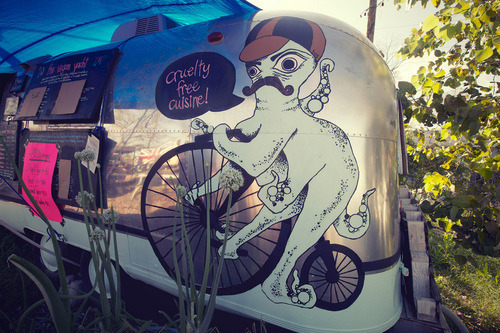 The Vegan Yacht food trailer on the grounds of the fabulous Spider House (where T.O.F.U.’s Friday night afterparty event takes place) is offering a complimentary coconut juice with any order of food for VVC attendees. In case you’re wondering, the cactus tacos are gluten-free, and you can add stand-alone eggrolls as a side to any dish! Tattoo time! Ashley Thomas of Atomic Tattoo is continuing her recent vegan ink special on Friday, May 29 and 30th with . Email her ASAP at tattoosbyashley@gmail.com to schedule an appointment. She’s offering $60 for black & white and $100 for color of the following, but talk to her about your tattoo dreams! Waffles! Yeah, when isn’t it the time for waffles? Unity Vegan Kitchen in South Austin is bringing back their hit Chickun & Waffles with Pepper County Gravy all through Thursday-Monday. Go get some! Next up, head to Counter Culture on E Cesar Chavez (perhaps, well, definitely, before Capital City Bakery’s Saturday night anniversary bash?) They’ve made sure to feature two of their most asked-about specials on their weekend menu, the Brie, Fig and Apple Pizza and The Soul Food Burrito! Often in the mood for falafel? I get it. I crave this place and the fact that it has an Austin location perks my garbanzo interest: Maoz Falafel! Mention you’re a Vida Vegan Con attendee at their N Lamar spot and get 5% off your purchase! Okay, you’ve had your savoury, so it’s time for sweets at another vegan Austin must: Tell ’em you’re a VVC attendee at Sweet Ritual Ice Cream and get a FREE TOPPING, BABY! See Julia’s cone? It needs help. It needs sprinkles. And then seriously, if you’re going to Sweet Ritual, you may as well rewind time/go earlier in the day, and get start your day right with a taco and coffee (or 2…of both) at The Vegan Nom. Trust us on this. These fine folks are offering a complimentary order of chips & queso with any two regular or signature tacos. Plus, you can catch chef/owner Chris Rios at Friday’s “How We Made Austin Awesome” panel at the Vegan Bazaar, and Sunday’s panel on “The New Vegan Economy“. Our full weekend spots are indeed sold out, but tickets for Friday are still available this way with discount code “WEHEARTAUSTIN“! 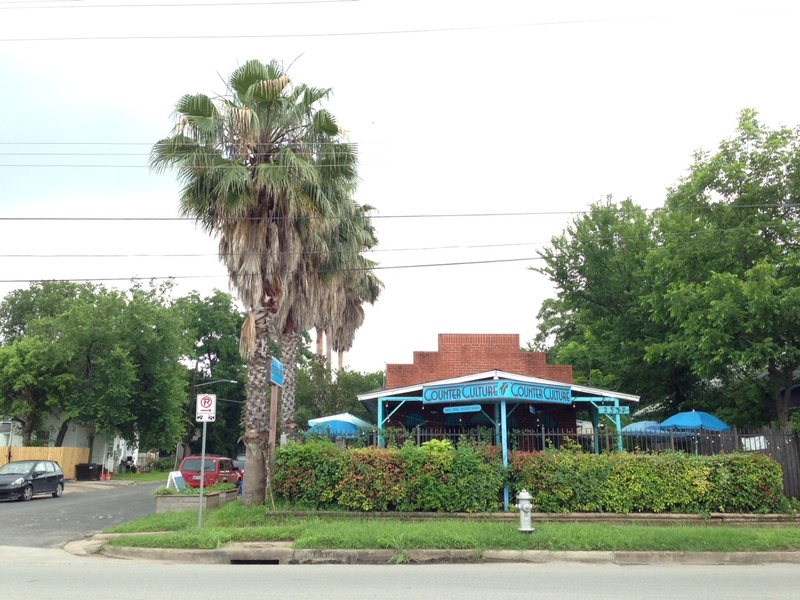 This entry was posted in Austin, Events, News, Tips, Vida Vegan Con. Get Vida Vegan Con in your hands! Happy one mere week ’til Vida Vegan Con III! As you hopefully caught on our Instagram feed (follow along with @vidavegancon for behind-and-in-front of the scenes updates! ), we’re going an extra step for our third conference with a digital conference platform. This means you have a free handy-dandy guide with all of our class info, official and unofficial events, speaker bios and all the Vegan Bazaar info you can handle. This Sched.org site is for all full weekend registrants, where you can plan your conference schedule (not an obligation, with the exception of Amey’s Zine Workshop) from an interactive, super up-to-date platform on your own smart phone or tablet. In fact, as full weekend attendees, you should have received an email earlier today to get things started! It’s easy: Turn on your device. Open this very link: https://vidavegancon.sched.org. This will prompt you to bookmark onto your home screen. Go for it! Make a quick account, and start exploring! See you all next week in Austin!! This entry was posted in Austin, News, Speakers, tech, Tips, updates--DO NOT USE, Vegan Bazaar, Vida Vegan Con.